Cord end sleeves are tin plated copper sleeves and are available in both insulated and non-insulated designs. Cord end sleeve are "crimped" on the stripped end of the wire using crimping pliers. This enables it to be inserted easily into the connector or terminal without damaging the individual cable strands. Insulated cord end sleeves also provide improved electrical safety and mechanical stability and enable quick visual identification of the wire cross sections as a result of the standard colors. This Type Of Terminals Are Use In Heavy Duty Applications. And Manufacture From Pure Copper To Obtain Maximum Efficiency. 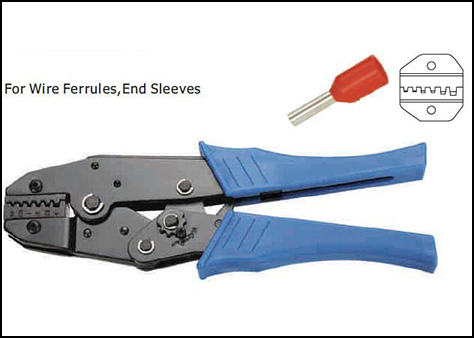 These Terminals Are Used In Continuous Mechanicals Vibrations Such As Railways, Automobile, And Generator, etc. This Terminal Can Be Crimped In Either Direction. To avoid Corrosion And Oxidization These Terminals Are Tin Plated. 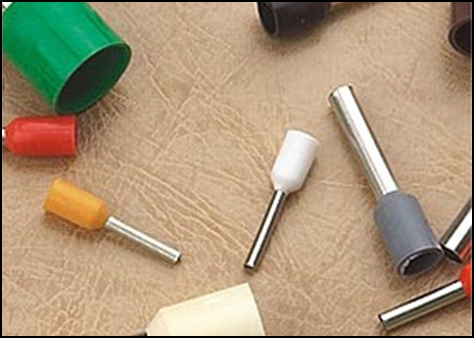 Insulated Terminal Provides Good Protection Against Electrical Shocks Can Be Also Provided With Metal Reinforced Sleeves To Maintain Good Contact On Conductor Insulation. Soldering Type Tubular Copper Terminal Is Manufacture From Pure Copper To Obtain Maximum Efficiency. These Terminals Are Used Where High Value Of Current Flow Is Required. And Due To Soldering Loose Termination Are Avoided Which Prevents Heating At Termination Ends. 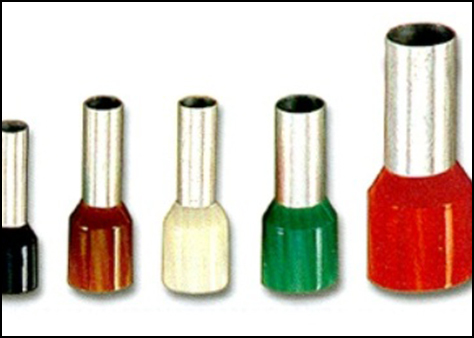 These Terminals Are Tin Plated To Avoid Oxidization And To Achieve Maximum Corrosion Protection. This Type Of Terminals Are Use In Heavy Duty Applications. And Manufacture From Pure Copper To Obtain Maximum Efficiency. 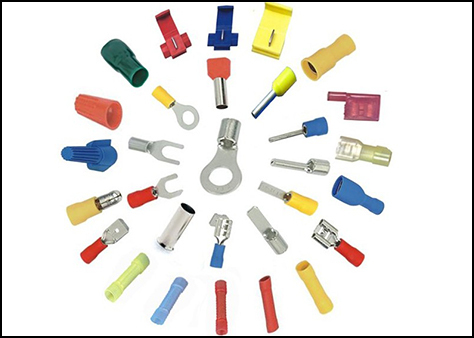 These Terminals Are Used In Continuous Mechanicals Vibrations Such As Railways, Automobile, And Generator, etc. To avoid Corrosion And Oxidization These Terminals Are Tin Plated. Insulated Terminal Provides Good Protection Against Electrical Shocks Can Be Also Provided With Metal Reinforced Sleeves To Maintain Good Contact On Conductor Insulation. The Terminal Barrel Is Annealed And Brazed To Get Good Crimping On Conductor, Wire, etc. This Type Of Terminals Are Use In Heavy Duty Applications. And Manufacture From Pure Copper To Obtain Maximum Efficiency. 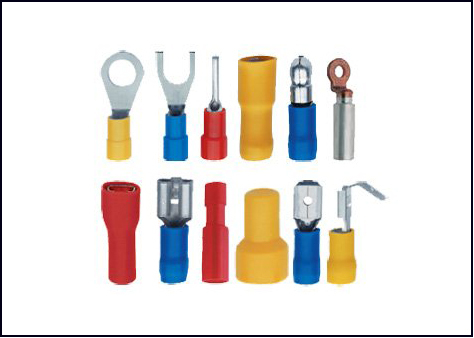 These Terminals Are Used In Continuous Mechanicals Vibrations Such As Railways, Automobile, And Generator, etc. This Terminal Can Be Crimped In Either Direction. To avoid Corrosion And Oxidization These Terminals Are Tin Plated. Insulated Terminal Provides Good Protection Against Electrical Shocks Can Be Also Provided With Metal Reinforced Sleeves To Maintain Good Contact On Conductor Insulation. The Terminal Barrel Is Annealed and Brazed to Get Good Crimping on Conductor, Wire, etc.